Friends, I am embarking on a new adventure. Since April, I have been studying to be a holistic health coach with IIN. It has been fantastic and fulfilling, and I feel I have already learned so much. I’m excited to continue discovering and growing and would love to share these gems with you. For some time now, I have been tossing around the idea of starting a blog. Various friends have encouraged and even championed me to do so. The thought overwhelmed me. I felt pressure to be someone I’m not–to create a beautiful blog with eloquent writing and stunning photography. I pondered the idea, and my intentions, and the reality is, I would love to have a space to share, and discuss, and connect. I have never considered myself a writer or a photographer, but I would love to stretch my creative muscles. In a way, for me, starting this blog is akin to skydiving. 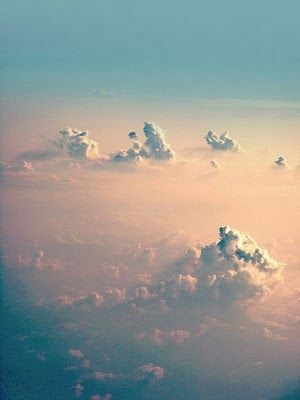 You feel overwhelmed by the thought of jumping out of that plane, and your mind is racing with all the things that could go wrong, but then you take that leap into a sea of clouds and it’s exhilarating. Like Gandhi says, “Man often becomes what he believes himself to be.” If I trust myself to be real and honest, and share my passions, I can only hope others will connect. I am passionate about wellness and food and love to share this passion with others, and this seems like a perfect canvas to do so. If you’re interested, join me on my journey. Ask questions, make comments…let this be an interactive community where we can learn together how to nourish both our bodies and our souls. This entry was posted in Uncategorized and tagged health, holistic, IIN on August 16, 2013 by Ashley Couse.